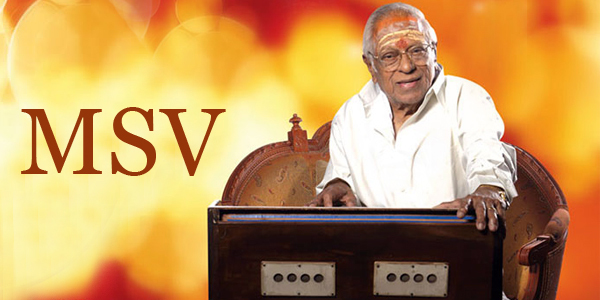 M.S.Viswanathan, fondly called as MSV, one of the greatest music directors of Indian cinema who has composed music for as many as 1200 films in a career spanning more than five decades passed away this morning at around 4.30 am. As a music director he worked together with Ramamurthy in 700 films. He has also shared joint credit with Ilaiayraja for a couple of films and his son Yuvan Shankar Raja for the remake of 'Thillu Mullu'. He has also acted in films. The legendary composer was always known to be a modest and kind person who always used to address everyone in a respectful tone. We convey our deep condolences for the bereaved Family of the musical genius and also prayers for his soul to rest in peace.